Including special guest instructor Jonathan Garratt. Assessment of the summer honey crop, planning for autumn. Dress code at apiary meetings: Clean bee suit, clean gloves, clean wellington boots. Call in on your way to the apiary meeting! Please see the honey schedule part 1 and part 2 and tips on how to win prizes. We urge you to exhibit your honey. 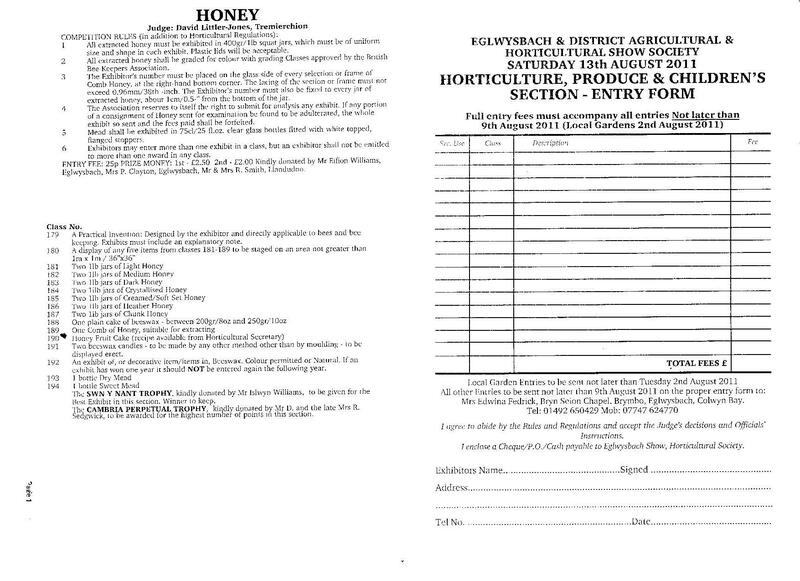 Support for the local honey shows is usually pretty limited, but if you have honey this year, do please make the effort to show some. Everybody likes to see a well-supported Show. 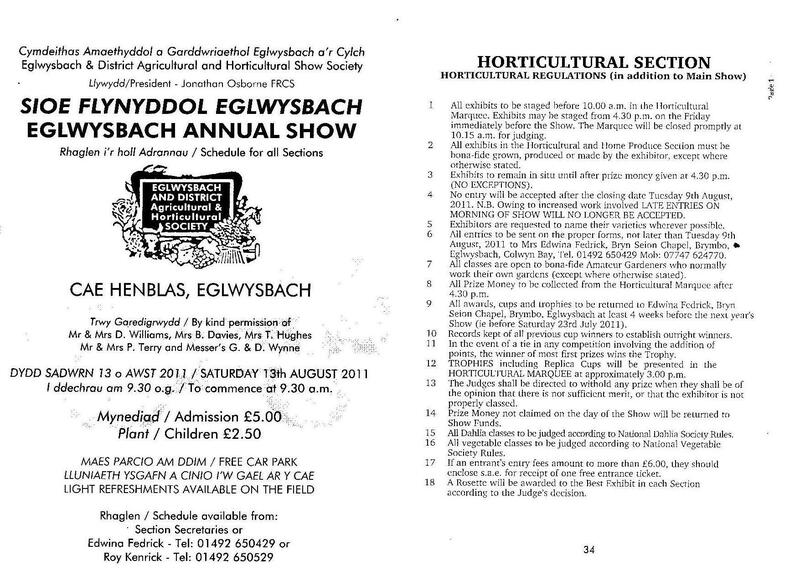 Eglwysbach Show is one of the most popular local shows, always a great day out.